Brandy Watkins at Art Car Museum, Houston , a photo by trudeau on Flickr. "Fourteen is a group exhibition of Texas artists whose works encourage political, social or spiritual consciousness" says the art car. 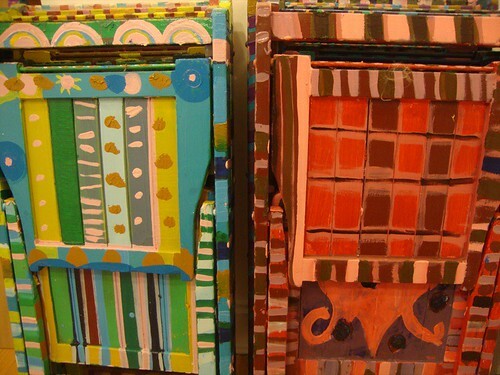 Art Car Museum, 140 Heights Blvd (713-861-5526) is open Wed - Sun, 11 am to 6 pm. Admission free. Also on display: "Psychedelic Surfer Dude," a 1963 Porsche 356B art car painted by Robynn Sanders and owned by David Duthu. Blues & Southern Soul in Shreveport on Sun, Sept 4, a photo by trudeau on Flickr. 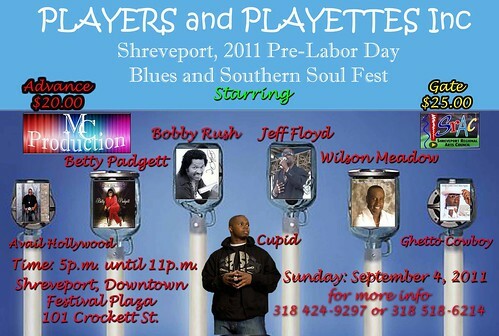 Music producer, community activist and percussion master Ron Hardy, of Playaz & Playettes, Inc, presents an annual blues & r'n'b throwdown on the Sunday of Labor Day weekend. It's called Blues and Southern Soul this year and is a classic evening of BBQ and shuffle. It's a roadhouse experience under the shade of the open pavilion at Festival Plaza. Blues Fest in Shreveport: highly recommended. 5 pm to 11 pm. Mary Alfred Thoma, TASA, Shreveport on Flickr. 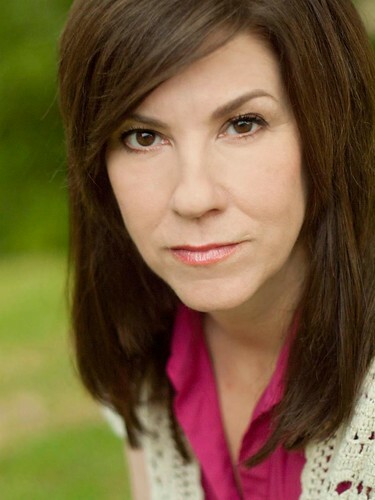 "We have some really great classes available and I would really like to be sure that all actors around town know what is here!," says Mary Thoma, hard-working actress and proprietor of TASA, the Art and Soul of Acting. "We have classes in improv, on camera , commercial work, stage combat, Meisner technique, auditions, etc! For both theater and film. I also offer some partial barter and one or two full barter options for actors without financial resources every session!" ABetterShreveport.org: Cynthia Keith, a photo by trudeau on Flickr. "SPAR and the City Council are in the 30 day public comment phase regarding our application to have a dog park at Hamel's Memorial Park." "Please see the link below for comments," says Cynthia Keith. "Tell your friends to comment, too. A resounding YES would be appreciated." More at Shreveport Dog Park Alliance on FB. Fantastic Mr Fox, Shreveport / Artbreak '11, a photo by trudeau on Flickr. "Be the first to peek inside the Fox tunnels!" says Julia Foley. "Meet the creators - Arthur Mintz, Rene and Jacque Duffourc - and actors, listen to music by Theresa Andersson & Johnny Vidacovich, enjoy Foxbites and Foxtail Cocktails!" Friday, September 9th, 5:30-8:00 pm! Eds note: Be aware that drummer Johnny Vidacovich is one of the Crescent City's legendary drummers and that Theresa Andersson is a popular New Orleans singer. Do not be surprised if the Fox creators join in the music making, too. Cutting edge research from the University of Notre Dame’s Science of Generosity initiative will be featured as a permanent exhibit at a preeminent science center in Louisiana, says Ann Fumarolo. Representatives from Notre Dame, The Community Foundation of North Louisiana and Sci-Port: Louisiana’s Science Center today announced the creation of the permanent exhibit, which was made possible through a $43,884 grant from The Foundation. "For the first time ever, scientific research that quantifies the impact of philanthropy on the individual and society is accessible in an interactive exhibit," said Paula Hickman, executive director of The Community Foundation of North Louisiana. "We are pleased to share with the public what we have known all along: generosity positively transforms the donor as well as the recipient." See more at Univ of Notre Dame. whaley3, a photo by trudeau on Flickr. Author John Corey Whaley, of Springhill, chats about his young adult novel, Where Things Come Back, at Broadmoor Library at 11 am Sat, Aug 27, says Levette Fuller. Asking questions in the session will be Robert Trudeau, teacher, artist and blogger. It's free. And Corey is a fluent, warm and thoughtful lad. Yesterday, the downtown/main branch of Shreve Memorial Library debuted their new graphic novel collection during an event called "Zoom! Bang! Kapow! : A Graphic Novel Explosion." The collection, which includes $25,000 worth of graphic novels ranging from illustrated classics to Japanese Manga, has an interesting story of its own. Librarian Levette Fuller won the collection while attending the 2011 American Library Association Annual Conference. 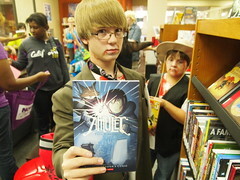 Fuller was one of 15,000 librarians who entered the contest, and one of 100 finalists. 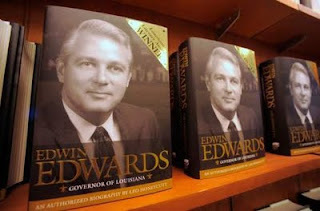 The books are now available to be checked out. Looking for a good excuse to head downtown and browse the collection? 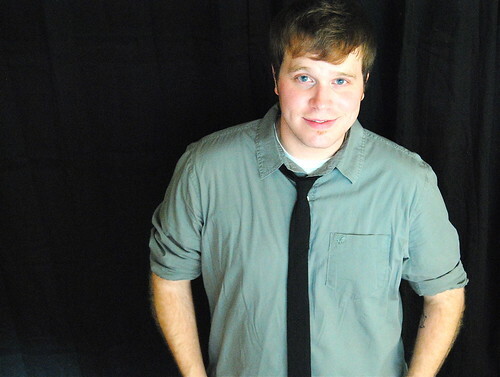 Local author John Corey Whaley will read from and sign his acclaimed new novel "Where Things Come Back" at the library, 11 a.m.-2 p.m. on Saturday, Aug. 27. Shreveportblog's own Robert Trudeau will be hosting. Here's more info on the reading. Here's the facebook invite to John Corey Whaley's reading, if you'd like to invite friends. Jacques Duffourc, Fantastic Mr Fox, Shreveport, a photo by trudeau on Flickr. The creators of the Fantastic Mr Fox exhibit/experience at Artspace Shreveport are in need of volunteers with a creative impulse to help finish the sets for this amazing production, says Julia Foley. 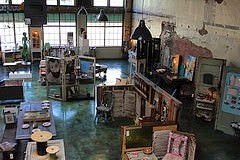 If interested, stop by artspace, 710 Texas St., downtown Shreveport, and lend a hand between noon and 7 pm any day. "It is really fun to work with these guys," testifies Foley, "and you can be part of bringing the story to life!!" 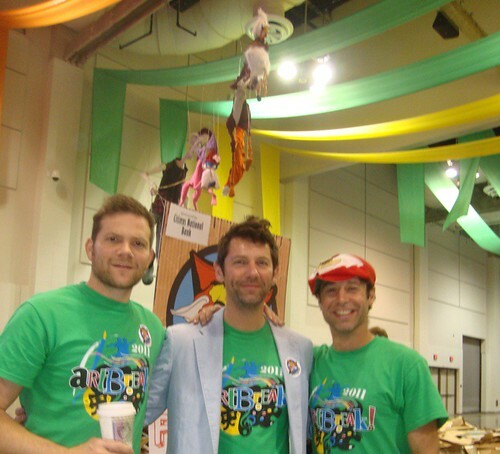 The Mr Fox guys are New Orleanians Rene and Jacques Duffourc and Arthur Mintz. Call 318-673-6535 for more info. 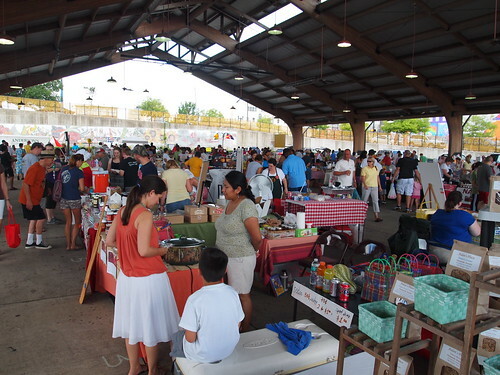 Shreveport Farmers' Market, a photo by Shreveport-Bossier: Louisiana's Other Side on Flickr. The final Shreveport Farmers’ Market of the summer will be Sat, Sept 3, says Noma Fowler-Sandlin. Melons, okra, eggplant, squash, peppers, beans, peas, pears, peaches, meats, canned items, and baked goods are still available to stock your freezer, cupboard, or pantry during the interim between the summer and fall markets. The farmers’ market will reopen for the fall on October 22, and run on Saturday mornings from 8 a.m. to noon through November 19. More information is available at www.shreveportfarmersmarket.com, or by calling (318) 455-5788, or emailing farmersmarket@redriverrevel.com. An application for potential vendors is also available on the website. Robin & the Seven Hoods, Shreveport, a photo by trudeau on Flickr. Hey, mister! 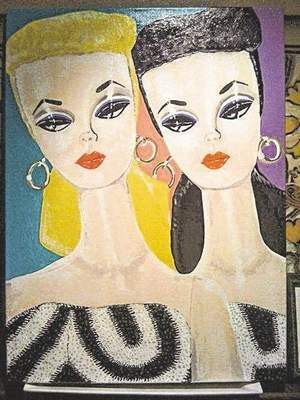 It's carnival time for the Gemini, says Bruce Flett. Mozart Requiem, St John's, Shreveport: conductor Marc-Andre Bougie, a photo by trudeau on Flickr. "A glorious rendition of Franz Josef Haydn's Mariazeller mass will be performed in the beautiful new sanctuary of St. Pius X Catholic Church on Sunday, August 21, at 4:00 pm" writes John Goddard. Conductor Marc-Andre Bougie will lead the Shreveport Chorale and Orchestra and the Texarkana Regional Chorale. St. Pius X is located on the north side of Shreveport. From downtown Shreveport follow Market Street (LA Hwy 1 and US Highway 71) north past Interstate 220. At the Hwy 1 and Hwy 71 split, follow Hwy 1. St. Pius is the first driveway to the right. From Interstate 20 take the Market Street (North) Exit and follow the directions above. 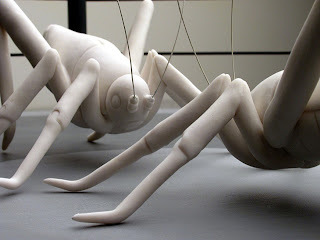 Meadows Museum opens 2011-2012 exhibit season Sunday, 1 p.m.-4 p.m.
A piece from the series "Dominance and Affection"
by Reading, Pa.-based artist Bethany Krull. Both exhibits tackle the topic of how humans relate to and interact with the natural world. I'm most excited about Krull's sculptures, which are porcelain and cast bronze meditations on the relationship between human "owners" and the pets we say we love. Take a look at the "Dominance and Affection" series on her website. It's pointed, powerful stuff. Swing by Sunday afternoon. There will be air conditioning, art, and coffee - what more could you possibly need? p.s. The entire 2011-2012 season's exhibit schedule is up at the Meadows Museum website. 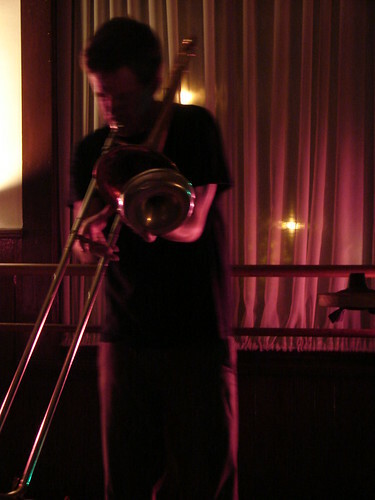 Julian Dossett / Deadtown, Austin, a photo by trudeau on Flickr. Julian Dossett grew up in Shreveport and became a spinner of tales behind guitar and mic. His strengths are similar to those of his singer-guitarist dad, Stanton Dossett. Both have smoky if plaintive voices suited for singing stories in front of a band. In the case of Stanton, the band is Junior III. The younger Dossett went to Austin to make his name and go to school. I'm not up on his schooling, but his band, Deadtown, is happening. A reviewer at psycho.rockabilly-online said of their new CD: "“Deadtown” is one of the cornerstones of Austin’s growing post-psychobilly/metropabilly scene. A small number of bands who believe that tradition and evolution need not contradict each other. They’re also the first of the fore mentioned bands to get a CD out. It’s only six songs long, but it still manages to be a solid kick in pants, aimed squarely at critics of the Austin scene." Catch them at Fatty's on Fri, Aug 19. 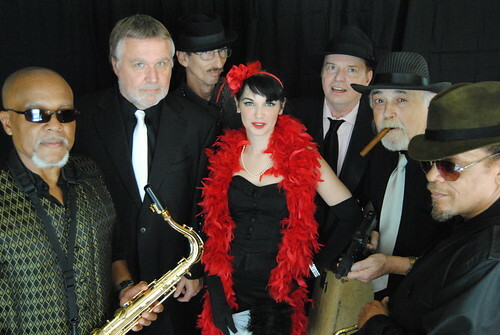 If you can swing dance you're in for a treat (this reviewer caught them at Artspace Shreveport on Th). The Deadtown swingin' steel guitar, humpin' bass and stingin' lead guitar over Julian's "hobo growl," equals a dance party. Michael Buttermann / Glenn Ross photo, a photo by trudeau on Flickr. 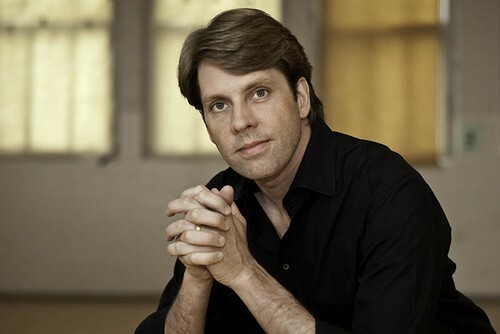 Michael Butterman - recognized for his commitment to creative artistry, innovative programming, and audience and community development, says Janet Braccio - has extended his contract as music director with the Shreveport Symphony Orchestra through the 2013-2014 seasons. 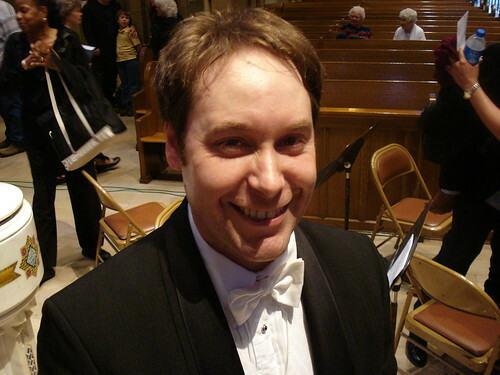 He has also resigned with the Boulder Philharmonic Orchestra for an equal commitment, says Bella Voce Communications. Additionally, Butterman is entering his third season as resident conductor of the Jacksonville Symphony. Indeed, he also begins his twelfth season as principal conductor for education and outreach for the Rochester Philharmonic Orchestra. Butterman has also completed a new recording project. He and the Rochester Philharmonic recently released a CD entitled "The Story of Babar and A Family for Baby Grand," with narrators John Lithgow and Jennifer Carsillo. Butterman, guest artist David Amram and the orchestra open the SSO season on Sat, Sept 24, at Riverview Theater. 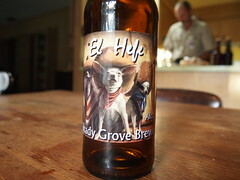 Shady Grove Brewing's "El Hefe"
Who knew that Shreveport-Bossier was home to such a thriving home brewing scene? I recently sat down with the Malt Munching Mash Monsters (MMMM), a local home brew club, to discuss the homemade brews they'll be bringing to the 2011 BREW event, scheduled to take place 3:30 p.m.-7 p.m., Saturday, Oct. 15 in downtown Shreveport's Festival Plaza. Mash Monster Jeff Pieper, who is also a member of the brewing club Shady Grove Brewing, listed the four beers he'll be bringing to BREW: "a cream ale, a Bohemian pilsner, a robust porter, and a blackberry mead." If anyone out there in internet-world is looking for a way to get started in the world of home brewing, I highly recommend contacting this friendly and knowledgeable group of beer ninjas. The best way to do so is by visiting their website at www.maltmunchingmashmonsters.com and signing up for the user's forum. For more info on BREW, visit their website or "Like" them on facebook. 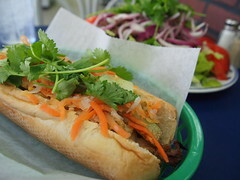 Danh's Deli Express recently opened at 4100 Barksdale Boulevard, Suite #119, and have introduced something new to Shreveport-Bossier's culinary scene: Vietnamese Banh Mi sandwiches, a po-boyish creation made unique by Vietnamese-style veggies featured front and center. All Banh Mi creations at Danh's Deli Express are dressed with homemade mayo, pâté, cucumber, shredded carrot and pickled daikon radish, cilantro, jalapeno and soy sauce. Priced at $4.95-$5.95, these unique sandwiches are served with a bag of lays and a fortune cookie. Varieties of Banh Mi include pork, beef, chicken, and ham, with a "Special Combination" version that features just about every meat they offer. Easily the least-expected house specialty here is the homemade ice cream, which comes in flavors like mango, coconut, and strawberry, and is served in a large, frozen coconut. One serving is large enough to serve as dessert for two. Danh's Deli Express is open 8 a.m.-9 p.m., Tuesday-Sunday, and can be reached by phone at (318) 752-5999. DSC02475, a photo by Nameless Sound on Flickr. David Dove, avant garde trombonist, and Ms Yet, movement and belly dance, are Houston artists to be featured at 846 Tex Ave on Wed, Aug 17, says David Nelson at minicine?. 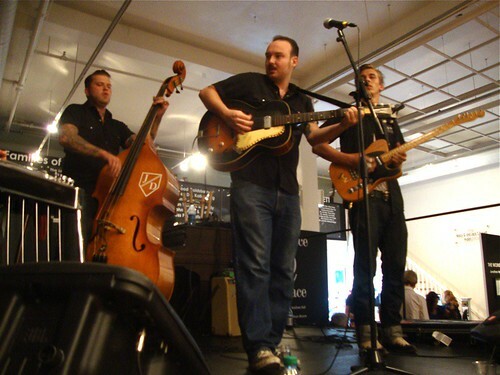 They will perform in the roofless storefront on the avenue which is adjacent to 846 Tex Ave. Opening the show are noise chaos vibe monsters Peter Fetterman and Rob Greenwood, who perform on divers instrumentalia under the name Sound::Medicine::Research. See much more detail here. 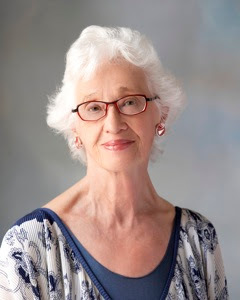 Volunteers of America of North Louisiana and the Alzheimer’s Agency of Shreveport/Bossier are proud to present a one-day workshop for caregivers of the elderly led by internationally known aging expert Naomi Feil (pronounced File). Validation is built on a non-judgmental approach to the sometimes strange questions and demands of people with dementia. It requires caregivers to explore those statements and actions at a deeper level instead of just dismissing them. The elderly are then treated with greater dignity and experience greater happiness and less stress. 2011 North Louisiana Travel Outlook Conference, Bossier City, La. Among the guest speakers at today's 2011 North Louisiana Travel Outlook Conference in Bossier City were Lt. Governor Jay Dardenne, whose opening speech began with a Boudreaux and Thibodeaux joke about Shreveport-Bossier casinos, and Lt. Gen. Russel Honore, known to many as the "Category 5 General" for the role he assumed in restoring order in New Orleans during the days immediately following Hurricane Katrina. 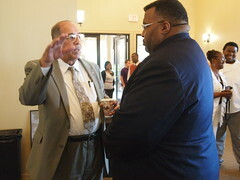 Lt. Gen. Honore spoke on the topics of American exceptionalism, leadership in crisis, and the importance of volunteerism. His advice to those in attendance: "Do the routine things well, don't be afraid to take on the impossible, and don't be afraid to act in the face of criticism." Honore said that these lessons were first taught to him by his mother, but that all three lessons - especially the bit about "taking on the impossible" - struck home as he was helicoptered into New Orleans following Hurricane Katrina. As he spoke, it occurred to me that this man had once held the most difficult and perhaps the most-scrutinized job in the world as commander of Joint Task Force Katrina. What may have sounded like generic platitudes coming from a lesser person carried real weight coming from him. One of the enduring images of Hurricane Katrina, for me, will always be that of Lt. Gen. Honore commanding a subordinate soldier to holster his weapon on the streets of New Orleans, reminding him that "we're on a peace-keeping mission, dammit!" The North Louisiana Travel Outlook Conference is an annual event presented by the Shreveport-Bossier Convention and Tourist Bureau. "THE HELP"..946_D_03188..Aibileen Clark (Viola Davis, standing) attends to the needs of Hilly Holbrook (Bryce Dallas Howard, seated center) and her friends Elizabeth Leefolt (Ahna O'Reilly, left) and Skeeter Phelan (Emma Stone, right) in DreamWorks Pictur, a photo by emrahozcan on Flickr. In our faces are the rabidly racist women of Jackson, Ms. And on romantic display are the women who could not escape the abuse. Meanwhile, the assassination of Medgar Evers is a hazy part of the Dreamworks movie The Help. Though this movie is about a neglected and deeply disturbing part of the recent past (the role of women in racist torture), the rough edges are smoothed. The Help presents a survey of suffering. The bad girls are appropriately bad. The girls who suffered are appropriately good. The guys are mostly inconsequential idiots. It's a melodrama, but a recommendable one. The tone and pacing are professional. It presents a topic that we must continue to discuss. In fact, I wish I'd been able to have an after-movie chat with my fellow movie goers. Finally, there was one auburn error in the otherwise carefully-constructed world of Mississippi in 1962: Skeeter's hair should not have been romantically curly. Skeeter's hair should have had tight, wiry curls. She hated it as much as the African-Americans' hated their hair. It was not curly, it was frizzy. 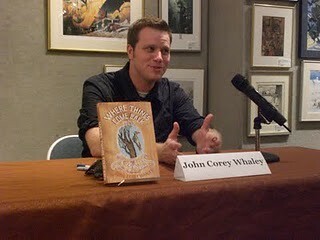 Where Things Come Back author John Corey Whaley, a photo by trudeau on Flickr. Having finished his first national writer's tour and on the eve of the release of his next Young Adult novel, author and former Shreveport teacher John Corey Whaley comes to Shreve Memorial Library's Broadmoor Branch to chat, says LeVette Fuller. his teen novel Where Things Come Back (Simon and Schuster) with local blogger, teacher, and author Robert Trudeau, writes Fuller. Barnes and Noble. This event is open to all ages. LA, has been named a Flying Start Author for Spring 2011 by Publisher’s Weekly. 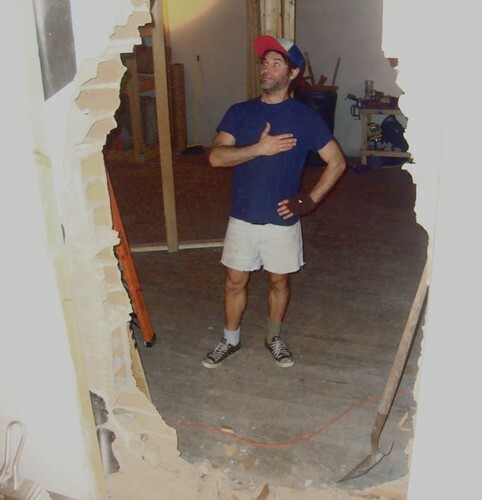 More at the Whaley web site. Leon Carter, Carolyn Bryant, Andrew Smith, a photo by trudeau on Flickr. Mahalia, a musical tribute to the life of legendary singer Mahalaia Jackson, is being directed by Vincent Williams and performed at Shreveport Little Theater on Aug 11 - 13, 7:30 pm. Box Office, 424-4439 or come by the box office at 812 Margaret Street - open weekdays from noon - 4 pm. The bands performing tonight are: Irene and the Sleepers (5:15 p.m.), Porcelain Arms (6 p.m.), Shayliff (6:45 p.m.), Dylan the Astronaut (7:30 p.m.), Ballet (8:15 p.m.), April's Love Affair (9 p.m.), and The American Tragedy (10 p.m.). Admission is $15 and tickets will be available at the door. The video above is the latest music video from The American Tragedy. It's called "Louisiana Loves Her Dead," and is directed by local Stephen Patrick Walker. Media Star organizer and promoter Will Hughes has a point when he says "We are trying to provide a venue for mid-level bands that can pull a couple hundred people. There are venues in town where you can see huge touring acts for $100 per ticket - what about those mid-level bands that are building steam at $15 a ticket? We have nothing like this right now." Momentum for William Joyce & Moonbot Studios as Morris Lessmore iPad app hits: see Newsweek's The Future of Books Is Here! Traditionally known as the last big party of the summer, the Philadelphia Center’s Auction Against AIDS is guaranteed not only to tease, but also to please everyone who attends! An Evening of Burlesque will be the theme of the 2011 Auction to be held at the ELDORADO Resort and Casino, who is the title sponsor for the third year in a row. The day to mark on your calendar is August 6, 2011. Check out The Phialdephia Center's Facebook photo albums for "teasers" of just a few of the fabulous trips, memorabellia, antiquest, art, and more up for auction this year. 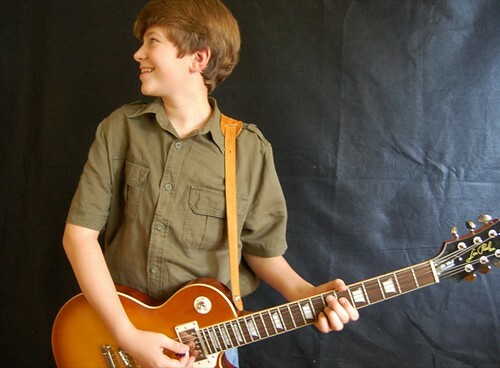 After a couple of years of being the wonderkind of Shreveport - the Matthew Davidson Band has drawn crowds at restaurants, festivals, you name it - 13 year-old Matthew Davidson has taken a big step to being a wonder teen on the national scene. Attending the Kidd Kraddick Rock Camp in Dallas, Davidson auditioned alongside 300 talented teens for a place in the spotlight group. Having made it, he is now giving showcase performances in the Dallas area. You gotta love the variety of expressions on Davidson's face in the video. Including the inadvertent, I'm sure,"I'm not singing this one and I'm So bored with simply playing guitar." The Multicultural Center of the South's annual "Taste of Culture" event is finally here. This magical night only comes once a year. Tickets are on sale for $35 a piece. This includes your admission, delicious multicultural food from all over the world, drinks including wine and beer, and a diverse array of entertainment which will include the belly dancers. It is a beautiful sight to see. There will also be raffle tickets and a silent auction. The event is a fund raiser for the Multicultural Center of South and will feature food and entertainment from 26 cultures represented in the Shreveport-Bossier City area. 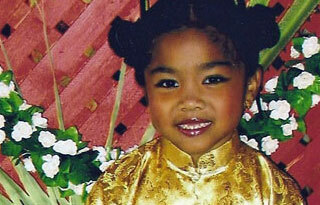 Some of the cultures include Korean, Japanese, Greek, the Middle East and India. There will also be a sushi demonstration by sushi chef Gloria Liu. Please come support this wonderful nonprofit organization that truly brings all walks of life together in one room. Tickets are $35 and can be purchased at the Multicultural Center, 520 Spring St., Shreveport, or via PayPal at mccsouth.org. For more information call 424-1380. Kern Courtney's vinyl record listening party , a photo by trudeau on Flickr. "Naked Vinyl is getting weird. No, seriously! The theme for this month is Off The Wall, so show off your eccentric side and bring records that are strange, uncommon, or somehow out of the ordinary," says host Kern Courtney. "It's ALL AGES, so remember to bring selections that are family-friendly. 33s and 45s (no 78s). 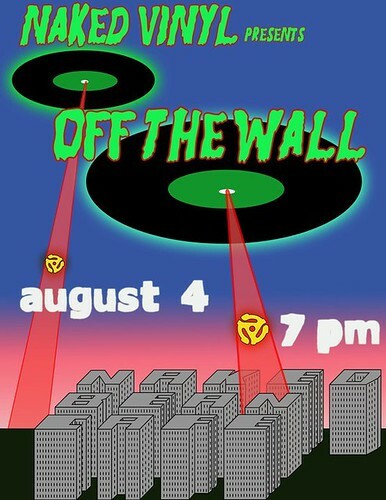 This Thursday, Aug. 4th, at 7PM at the Naked Bean Cafe. IT'S FREE!" 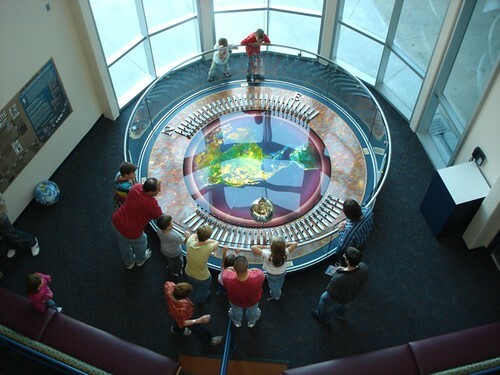 Stars of the Discovery Channel's Storm Chasers series to visit Sci-Port, a photo by Sci-Port on Flickr. 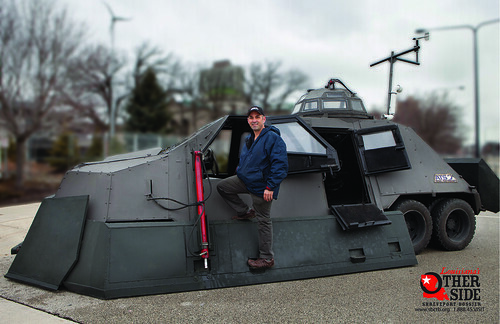 Tornado season may be winding down in the region of America’s heartland known as “Tornado Alley,” but IMAX film-maker Sean Casey of the Discovery Channel's Storm Chasers series and his custom-built Tornado Intercept Vehicle (known as “the TIV II”) are still on the road and will be making a special stop to meet fans and visitors at Sci-Port: Louisiana’s Science Center on Tuesday, August 9 and Wednesday, August 10. The crew’s appearance is sponsored by the Shreveport-Bossier Convention and Tourist Bureau. For the past seven years, Casey, has traveled Tornado Alley, or the “severe weather capitol of the world,” on a personal quest to capture the birth of a tornado on film—at point-blank range. From 10 a.m. – 4 p.m. on Tuesday, August 9, and from 9 a.m. – Noon on Wednesday, August 10, all Sci-Port visitors will be able to get a close-up view of the vehicle, talk with Casey and Gutierrez, pose for pictures and purchase a signed poster. Plus, on August 9, at 4:30 and 7:45 p.m., Casey will introduce his featured film, Tornado Alley, inside Sci-Port’s IMAX Dome Theatre and have a Q&A segment with visitors during two reservation-only screenings. Reservations for “A Night with the Twister Chasers” will include a spaghetti dinner reception at 6 p.m. and can be made through http://sciport.eventbrite.com/ or www.facebook.com/Sciport. Also, the “Twister Chasers Giveaway” has begun on Sci-Port’s Facebook page. The contest winners will each receive one ride with a friend in the TIV II around downtown Shreveport, four tickets to “A Night with the Twister Chasers,” an autographed TIV II poster, a bumper sticker that reads “I break for wind” and a Family Four Pack to Sci-Port’s Discovery Galleries. Winners will be announced Monday, August 8 at 5:30 p.m. Rides in the TIV II will take place from 12:30 p.m. until 4 p.m. on August 10 in downtown Shreveport. Riders will include Liz Swaine, Executive Director of the Downtown Development Authority, Ann Fumarolo, Sci-Port’s President/CEO, Stephen Parr, KSLA StormTracker 12 Chief Meteorologist and winners of the Twister Chasers Giveaway. Children must weigh at least 60 pounds to ride in the TIV II; children 12 years and younger must be accompanied by an adult. Kristi Hanna @ Artspace Shreveport , a photo by trudeau on Flickr. 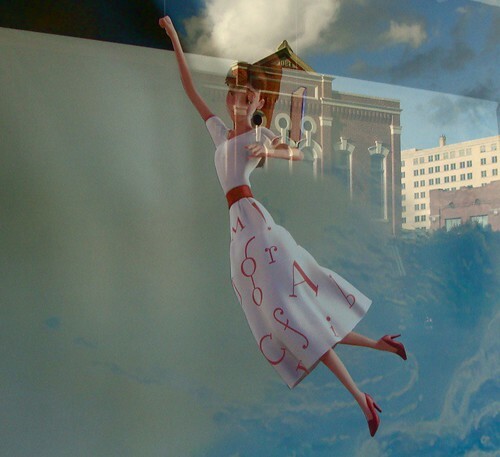 Artspace Shreveport introduces three new exhibits by three Louisiana artists: “Vibration” by Dorothy Kristin Hanna, “My way” by Dee Dee Hall, and “The works of Jonathan Moore” by Jonathan Moore," says Julia Foley. 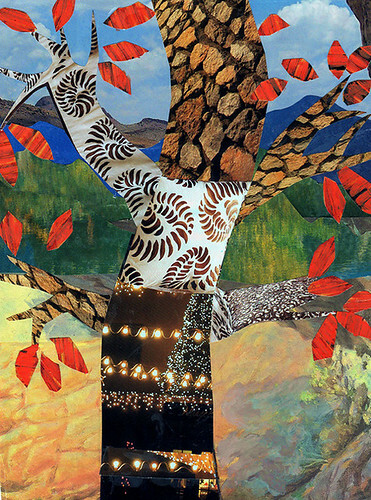 The exhibits will feature paintings, multi-media art, and interactive performances by the featured artists. It will open Thurs, August 4th at 6:00 pm with a reception for the public to meet the artists. - artspace will provide hors d’oeuvres and a cash bar. Complimentary parking is available at the Blue Scroll Mural Lot, Texas & Common Streets. Admission for the event is free. cmhs, a photo by trudeau on Flickr. 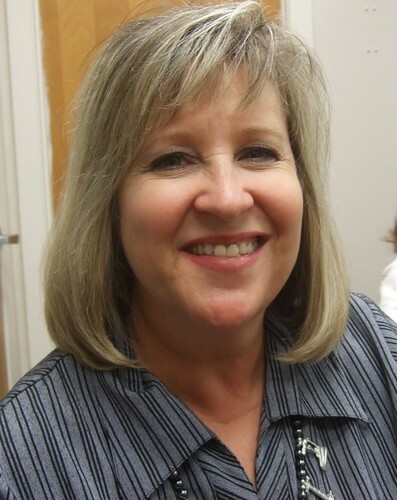 "Research overwhelmingly demonstrates that parent involvement in a student’s learning is positively related to achievement," says principal Mary Rounds at Caddo Magnet High. "It also shows that the earlier parents are involved in a student’s education process, the more success the child will experience. Successful elementary home-school partnerships require ongoing communication between the school and the home. 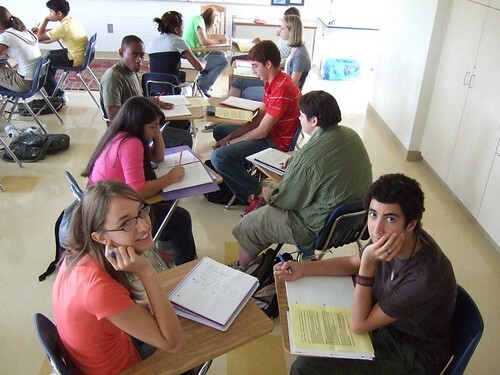 In an effort to strengthen this partnership, the district has scheduled mandatory orientation meetings for all parents with students attending Caddo Public Schools for the 2011-2012 school year." Wednesday, August 10, 2011, at 2:00 p.m. in the PAC. "During these mandatory meetings, staff members will discuss the curriculum, schedules of the day, parent involvement opportunities, discipline, attendance, dress code, school calendar, and other important programs, including JPams Technology System." Adds Rounds, "Please plan to attend one of these mandatory meetings. Your attendance and support are important to your child’s success in school." Carolyn Bryant, a photo by trudeau on Flickr. 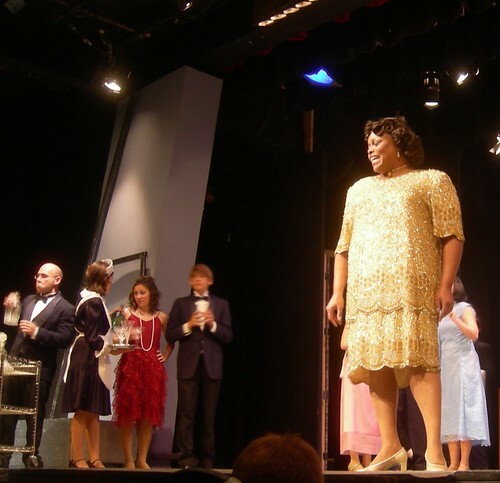 Actress Carolyn Bryant becomes Mahalia in a Shreveport Little Theater production, says Robert Darrow. 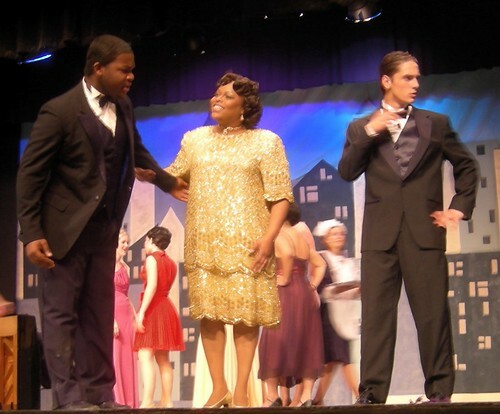 Bryant is being directed in the Tom Stolz musical biography by Vincent Williams. "Halie" Jackson was born in in New Orleans in 1911. In 1927, at the age of sixteen, Jackson moved from the south to Chicago, Illinois, in the midst of the Great Migration, says Wikipedia. By 1950 she was being recognized as the Queen of Gospel and was presented at Carnegie Hall. Her stellar career closed in Chicago on January 27, 1972, when heart failure and diabetes complications caused her passing. SLT box office is open - all tickets are $10 - at 424-4439.